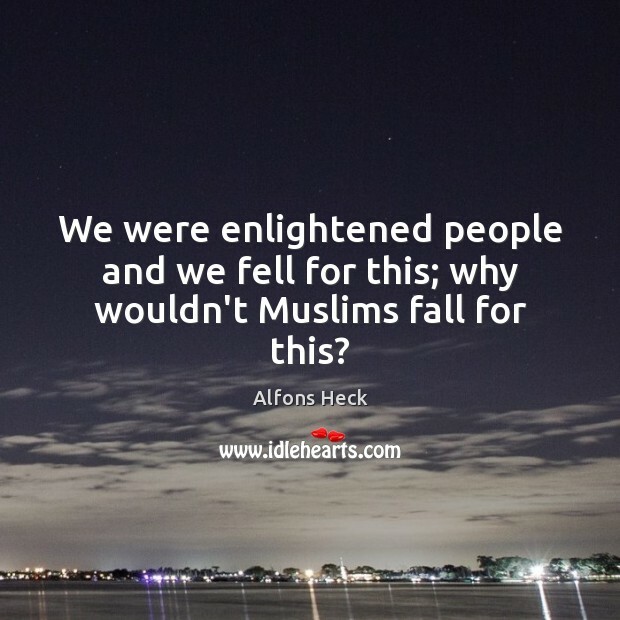 Enjoy the best inspirational, motivational, positive, funny and famous quotes by Alfons Heck. Use words and picture quotations to push forward and inspire you keep going in life! 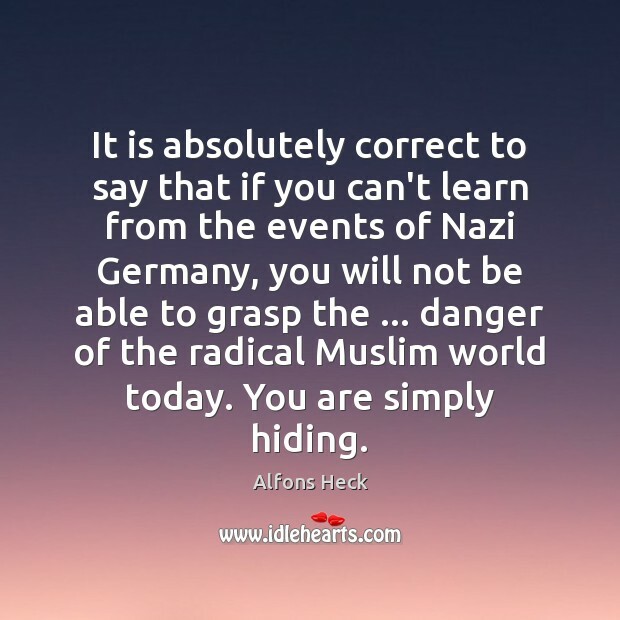 It is absolutely correct to say that if you can't learn from the events of Nazi Germany, you will not be able to grasp the ... danger of the radical Muslim world today. You are simply hiding. We were enlightened people and we fell for this; why wouldn't Muslims fall for this? 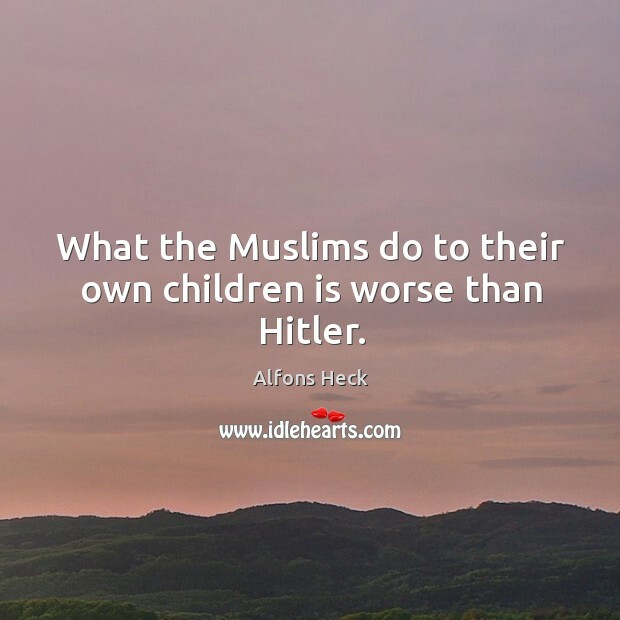 What the Muslims do to their own children is worse than Hitler.